PLEASE CHECK THE CHARM SIZE BEFORE YOU PURCHASE. Mum To Be ~ New Mum Clip on Charm with Baby Feet Charm and 2019 sign charm comes in an Organza Gift Bag by Libby's Market Place. 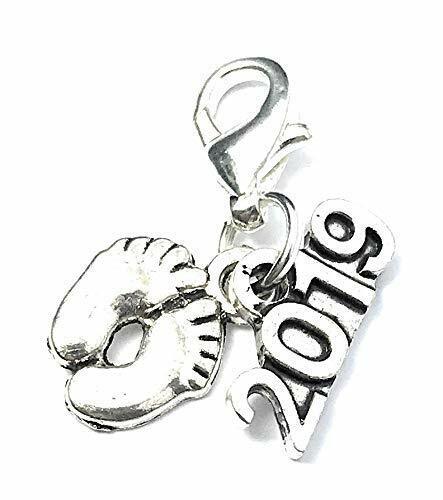 Clip on charm with Baby Feet charm and 2019 sign charm. Charm size is 2.5cm (including clip). Pretty little gift for mums who are expecting a new baby or already had a new baby in 2019. This little great gift idea comes in a lovely little organza gift bag. Bag size H7cm x W5cm. This clip on charm also available in a gift box OR velvet gift bag options (Please see our other products). PLEASE CHECK THE CHARM SIZE BEFORE YOU PURCHASE. Mum To Be ~ New Mum Clip on Charm with Baby Feet Charm and 2019 sign charm comes in an Organza Gift Bag by Libby's Market Place. Clip on charm with Baby Feet charm and 2019 sign charm. Charm size is 2.5cm (including clip). Pretty little gift for mums who are expecting a new baby or already had a new baby in 2019. 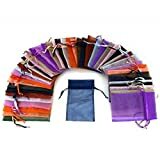 This little great gift idea comes in a lovely little organza gift bag. Bag size H 7cm, W 5cm. This clip on charm also available in a gift box OR velvet gift bag options (Please see our other products).